It is not business as usual at the Guldi Group. We believe that an expert should handle your real estate transaction. Look at your neighborhood real estate expert. Too many agents market themselves as your “buyer, seller, reo, short sale, relocation specialist.” It is an absolute impossibility for one person to do all those things well. To top it off the average agent does less than eight transactions a year. That is barely enough business to know how to fill in the blanks on the contract much less truly protect your best interests. The agent that helps you buy your first home may not be the best person to help you sell that home when it comes time to move. Those tasks require completely different skill sets. Our belief is that you should be working with an expert and as such, our agents are highly specialized. If you are buying a home, you will work with an agent that does far more business than the average agent giving you an above average experience. The same if you are selling your home or find yourself in the unfortunate circumstances of needing a short sale, you deserve to work with someone whose focus is the same as yours, all the time. We consistently outsell everyone in our market, because of this the competition is not raving fans of ours but would you expect them to be? For four years running, the Wall Street Journal recognized us not only as the top team in our market but one of the top teams in the country. If you are in an area we service wouldn’t make sense to hire the best? If you are not and would like a referral to an expert in your area we are glad to help. 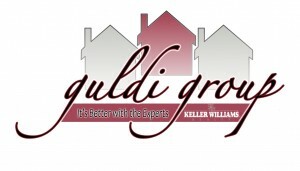 At the Guldi Group, we believe it is better to work with an expert. To top it off it does not cost anything more to receive that level of service. We are the Experts you can Trust.